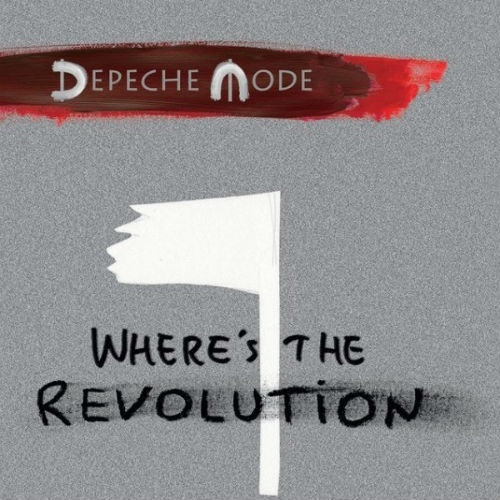 Depeche Mode will release their much anticipated new single Where's The Revolution on Friday, February 3rd. The track, which Depeche Mode teased during their highly viewed press conference in Milan this past fall, is the first new music from the band in four years and the first offering from their impending 14th studio album, Spirit, which will be released globally on March 17th on Columbia Records. Spirit marks the band's first collaboration with producer James Ford of Simian Mobile Disco (Foals, Florence & The Machine, Arctic Monkeys) and serves as the follow up to the band's blockbuster 2013 album Delta Machine which debuted at #1 in 12 countries. The album has already garnered critical acclaim in early previews, with Q Magazine calling Spirit "the most energized Depeche Mode album in years". Depeche Mode will support the release of the LP with an extensive world tour, giving both new and lifelong fans alike a chance to experience the band's stunning live shows. The first leg of the "Global Spirit Tour", on sale now, will see the band play to over 1.5 million fans at 34 shows in 21 countries throughout Europe. The tour kicks off May 5th in Stockholm, Sweden and will stop at stadiums across Europe before continuing beyond summer with shows in North and South America.